Recently tourism scene in Pakistan, specially in Karachi is on a roll. There are many companies and individuals who have started offering tourism packages with in karachi. This includes Karachi city tour, island tours, karachi historical tours, karachi beaches, national parks etc. 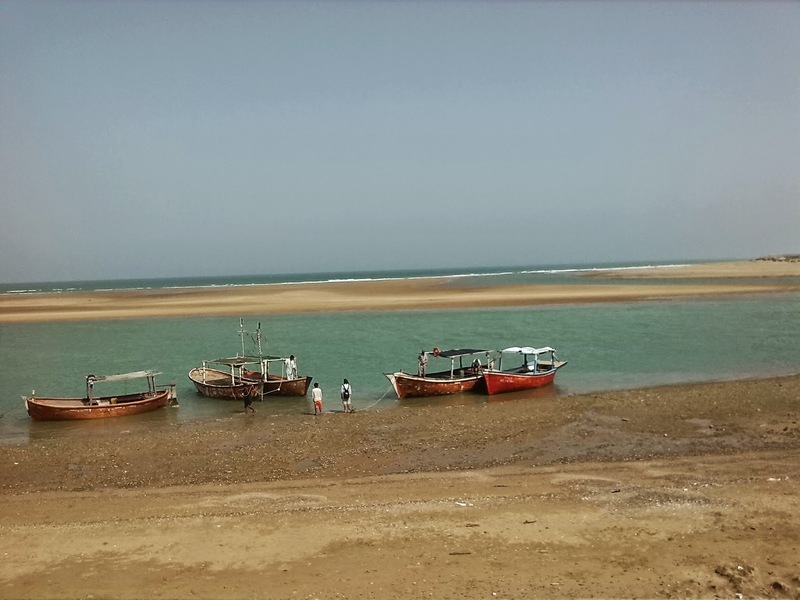 I heard a lot about churna island (charna island) tours, which have been going around for last 3 to 4 years. I always wanted to take the tour but due to one reason or the other could not take it. I have had heard about the clear water, the underwater life and the journey and always wanted to take on such a journey. Finally I decided to take a tour and signed up with Divers club for the tour on a saturday morning. The tour started from a said location in Karachi at about 8 am where we boarded an air conditioned coaster bus. We were given on board refreshments which included sandwich, juice, cookies and cup cakes. From there we boarded a local boat to reach churna island. Churna island itself is a small cliffy island in the middle of the sea. The water there is clear with lots of flora and funa life can be observed thru the snorkelling gear. Some of the guys on the tour also enjoyed diving from a cliff. We were in the open sea for about 3 hours and by 3 pm it was time to head back to the shore. By 4:30 pm we were back to the beach area where hot lunch was ready to be served to us. The tour had its lunch with drink and finally by 5 pm we were ready to head back reaching back the city at around 6 pm. All in all it was 12 hour trip including transport, boat rides and snorkelling and swimming. While Karachi is starved of entertainment, this is surely a great day out of karachites to explore and see the natural side of karachi. The cost of the tour was around US$ 30.00 per person while the same tour in thailand and malaysia may cost around US$ 70 - 100 / per erson. 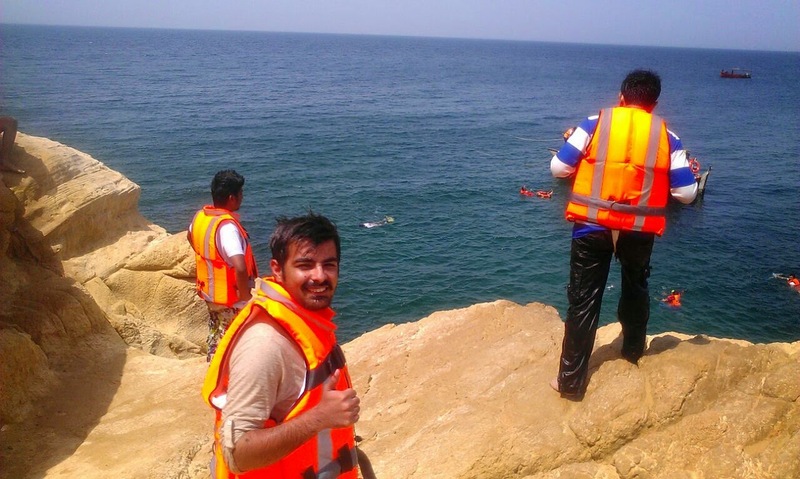 I will recommend karachites to explore this island and have a good time out with friends and family.